Chemistry professor Charles Goessman, date unknown. Courtesy Special Collections and University Archives of the W.E.B. Du Bois Library at UMass Amherst. First professor of chemistry at Mass. Agricultural College, the German-born Charles “Dutchy” Goessman was the fifth faculty member to join the new institution, in 1869. His research focused on the chemistry of soils and crops. He was considered responsible for the passage of one of the first laws requiring accurate fertilizer labeling. 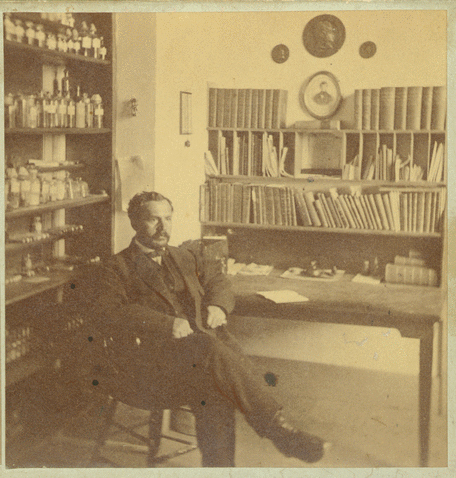 He became director of the Massachusetts Agricultural Experiment Station in 1882.